Web hosting is all about keeping your web site online, secure, and available fast when your visitors arrive. Our servers, housed in ultra-fast and ultra-secure web farms, have the capacity and storage you need to keep your site online. All with 24/7 support and backup from professional tech support staff. We have both Microsoft and Linux/Apache server options, and both dedicated and virtual servers. To buy, please visit our client area. If you feel your hosting needs are going to be demanding or require more than normal capacity and power, please do get in touch to discuss a custom hosting plan. We host everything from basic one-page web sites all the way up to huge high-traffic data-intensive multi-server sites. If you’re new to hosting your own web site – don’t worry! We were all new to this once, and we’re delighted to help you get started. 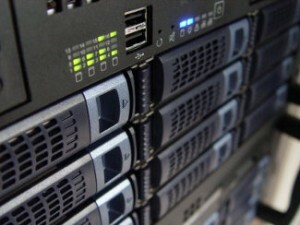 We recommend reading our Beginner’s Guide to Web Hosting. Or just pick up the phone and discuss your requirements, and we’ll recommend a solution for you. We also do domain names. Get your .com, .co.uk, .net, .org or any other extension. Prices start at just £4.99 per year. If you’ve never owned a web site before, our famous beginner’s guide will tell you all you need to know.